ASB has posted a 10% rise in annual profit to yet another record high with its net interest margin, being the difference between the interest income generated from lending and the amount of interest paid out to lenders such as depositors, up seven basis points. ASB's June year net profit after tax rose $108 million, or 10%, to $1.177 billion. Last year's $1.069 billion profit was the first time ASB's annual profit had topped $1 billion. The last time ASB's annual profit fell was in 2010. (See table at the foot of this article). The bank's net interest margin rose seven basis points to 2.24%. CEO Vittoria Shortt attributed the increase to lower costs associated with breaking fixed rate loans and improved lending margins. ASB's cost to income ratio dropped 130 basis points to 34.6%, as operating income rose 9% and operating expenses fell 5%. Return on equity increased 60 basis points to 15%, and return on assets was flat at 1.2%. 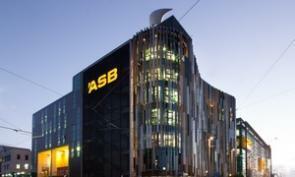 "New Zealand’s strong economic performance over the past financial year has underpinned ASB’s financial result. It’s clear that New Zealand’s sound economic fundamentals have contributed to a positive operating environment. Unemployment is at low levels, the quality of trade remains high and the housing market is resilient. These conditions have contributed to a 6% increase in lending, supported by a 7% increase in deposits," Shortt said. “Over the past year, we have hired more than 100 people and made significant investments in technology, including biometrics and facial ID, to deliver critical regulatory programmes such as Financial Crimes Compliance and Anti Money Laundering. In doing so, we are broadening and strengthening the ways we protect our customers, our business and the New Zealand economy against the growing threat of financial crime," Shortt added. ASB's loan impairments rose $11 million, or 16%, to $80 million. Shortt said this primarily reflects an increase in consumer finance provisioning after higher arrears rates and write-offs. “While arrears rates increased, they remain at low levels reflecting favourable macroeconomic conditions in New Zealand. We have continued to support our rural customers through a difficult period and are pleased to see an improvement flowing through to lower provision levels," Shortt said. The Commonwealth Bank of Australia (CBA) owned ASB increased ordinary dividends by $200 million to $650 million. ASB's common equity tier one capital ratio, as a percentage of total risk-weighted exposures, rose 40 basis points to 10.6%. The Reserve Bank required minimum is 7%. Over the June year ASB's total assets increased almost $6.8 billion, or 8%, to $95.413 billion. Loans grew $4.8 billion, or 6%, to $82.931 billion, and deposits and other borrowings rose $4.2 billion, or 7%, to $62.419 billion. Meanwhile, ASB recently introduced "Selfie ID," a mobile application pilot it says lets new customers open a bank account in about 15 minutes without having to visit a branch, using facial biometrics to confirm their identity. CBA's group results were less impressive than those of its NZ subsidiary. Annual cash profit from continuing operations fell 4.8% to A$9.233 billion, return on equity dropped 160 basis points to 14.1%, and CBA's net interest margin increased five basis points to 2.15%. Annual dividends rose two cents per share to A$4.31, equivalent to 80% of cash profit. CBA's cost to income ratio, again excluding one-off items, fell 270 basis points to 44.8%. The year has been a tumultuous one for CBA featuring fines and asset sales. These have included the sale of NZ insurer Sovereign to AIA Group, and an A$700 million fine paid to Australian anti-money laundering regulator Austrac. *The 2010 result was impacted by a $209 million payment as part of ASB's structured finance transaction settlement with IRD. Here's ASB's press release , here's CBA's press release  and here's CBA's presentation .